Find a vacation home to rent in Texas from our list of vacation rental properties. Campaya has over 1 vacation homes available in Texas, which give you the possibility to locate a unique accommodation in Texas which completes your check-list in search for the perfect self catering vacation apartments in Texas or vacation villas in Texas. Luxury living with Museums and Parks in walking Distance. 5 minutes from the Medical Center and MD Anderson. 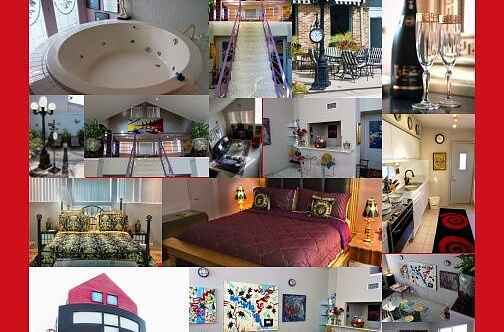 Short drive to Downtown (or take the Metro) and the Galleria Shopping Area.The Museum House is in a very quiet residential setting and away from traffic in the most perfect location you can find.This is not an ordinary apartment. It's i living experience. Take a look at the pictures.